Suntec REIT reported its 4Q18 results which were in-line with our expectations. 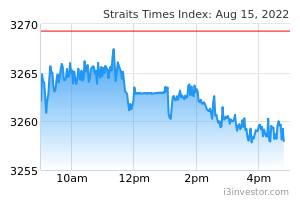 Gross revenue jumped 7.0% YoY to S$93.5m and NPI rose 2.3% to S$60.7m. This was driven by higher contribution from its retail portfolio and 177 Pacific Highway, but partially offset by sinking fund contribution for Suntec City office upgrading works. Excluding this, NPI would have increased by 10.4% YoY. DPU slipped 0.5% YoY to 2.59 S cents. For the full-year, Suntec REIT’s gross revenue improved 2.6% to S$363.5m, but NPI fell 1.4% to S$241.0m and this formed 100.3% of our forecast. The decline in NPI was due to the sinking fund contribution highlighted earlier. If we strip this out, FY18 NPI would have increased 3.2%. DPU of 9.988 S cents represented a mild decline of 0.2%, and was once again boosted by capital distributions amounting to S$39.0m, or 1.459 S cents per unit (+32.9%). DPU from operations declined 4.2% to 8.529 S cents. Overall FY18 DPU formed 99.6% of our projection. Operationally, Suntec REIT achieved positive rental reversions of 10% for Suntec City retail in FY18. Management has guided for positive rental reversions in the range of ~5% for FY19. As for the Singapore office segment, rental reversions also came in positive at 3% for FY18. 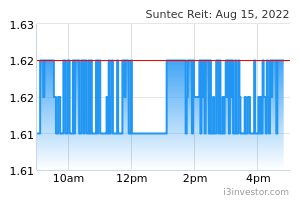 For FY19, Suntec REIT has guided for positive rental reversions of around 3%-5%, with expiring rents of ~S$8.70 psf/month for its Singapore office portfolio. Looking ahead, Suntec REIT will seek DPU accretive inorganic growth opportunities as a key part of its strategy, so as to reduce the requirement for capital distributions over time. There is currently ~S$70m of capital top-ups that can still be utilised. Australia will remain as one of the core markets for acquisitions. As cap rates have compressed in Sydney and Melbourne CBD core, management is open to city fringe assets in these areas, or core CBD assets in other cities such as Brisbane and Perth. After factoring in this set of full-year results in our model and rolling forward our valuations, we derive a slightly higher fair value estimate of S$1.84 (previously S$1.83).